With All Hallow’s Eve less than one week away, get in the spooky spirit with our selection of gorgeously gothic jewellery and accessories. Make your gothic go glam with our selection of marcasite and sterling silver jewellery, which will give you a dark sparkle into the midnight hour. 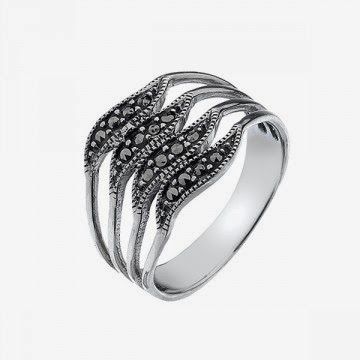 Marcasite and sterling silver vintage wave ring - £14.99. 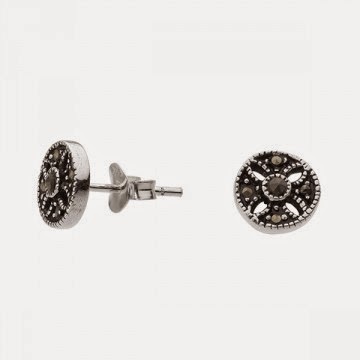 Marcasite and sterling silver vintage circle stud earrings - £12.99. 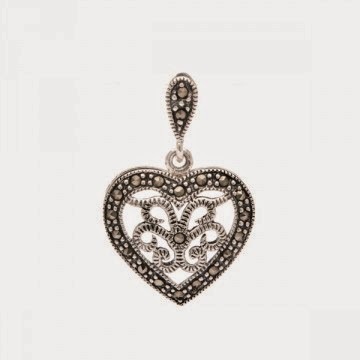 Marcasite and sterling silver heart pendant - £17.99. A selection of chains to match with the pendant can be purchased online or in our stores. Black never goes out of fashion, especially for Halloween season, so why not invest in one of our classic Black Onyx pieces. 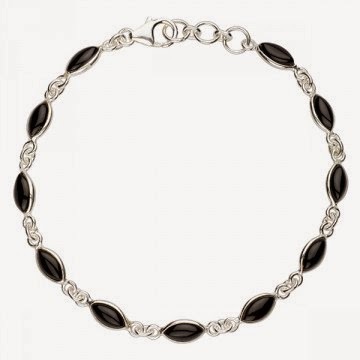 Sterling silver and onyx bracelet - £24.99. Sterling silver and onyx circle drop necklace - £19.99. 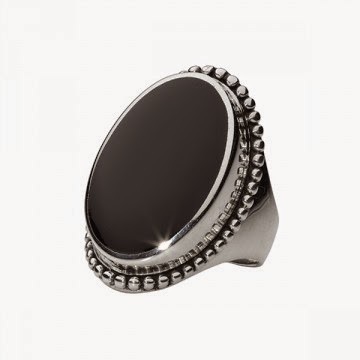 Sterling silver and onyx ring - £48. Every wicked witch needs her companion at Halloween, so treat yourself to one of our marvellous moggies. 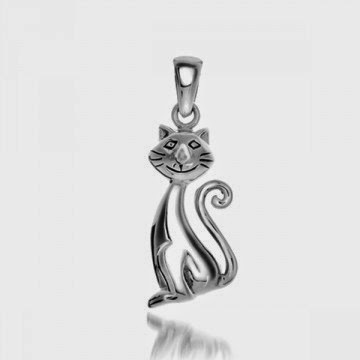 Sterling silver cat pendant - £17.99. A selection of chains to match with the pendant are available on our website or in store. 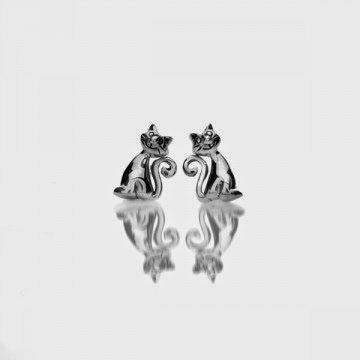 Matching sterling silver cat stud earrings - £14.99. Ghoulies and ghosties are a staple for this spooky season so make sure you pick up one of these punk goth pieces. 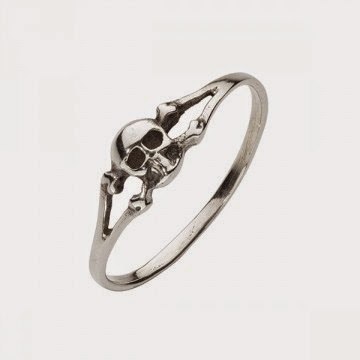 Sterling silver skull ring - £7.99. 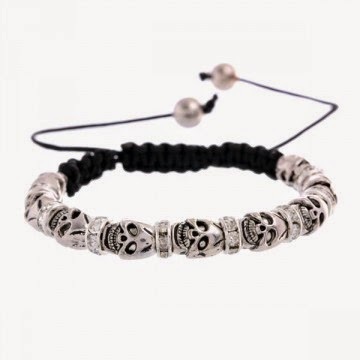 Skull bead and cotton bracelet - £5.99. If you want just a hint of gothic chic opt for one of our devilishly delightful scarves. 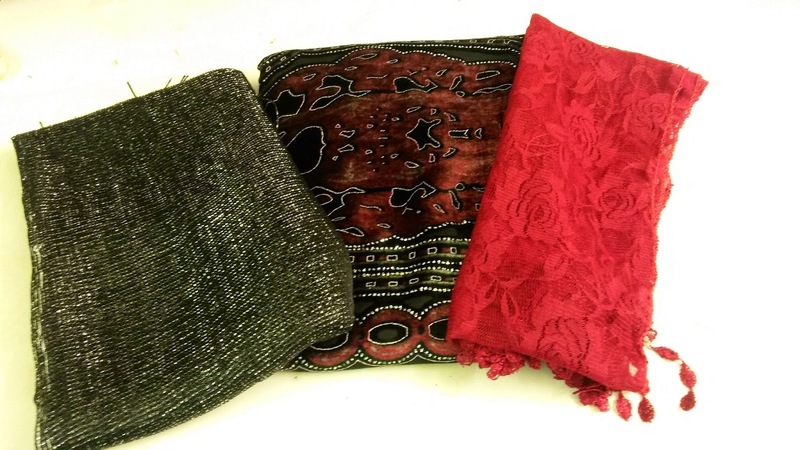 (From left to right) Black sparkle scarf - £5.99. Red and black felt scarf - £15.99. Red lace scarf - £6.99. 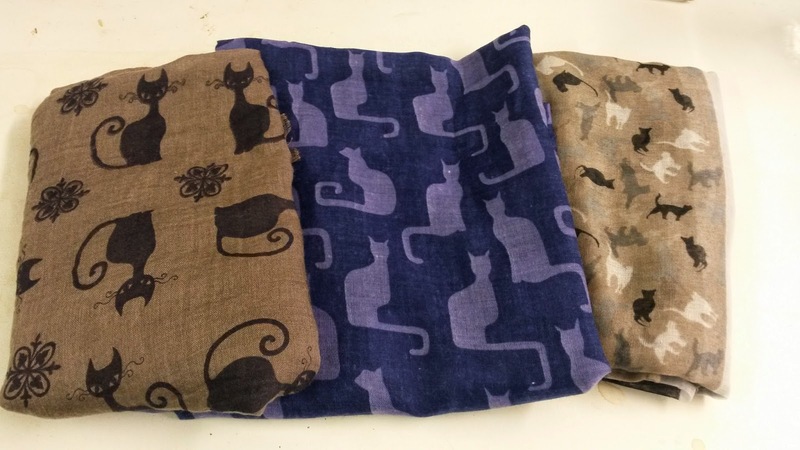 (From left to right) Dark brown cat scarf - £9.99. Purple cat scarf - £9.99. Brown, black and grey cat scarf - £8.99. All jewellery is available online or in store subject to availability. Scarves can be purchased in store subject to availability.